Welcome District 86 students and parents! This page provides you with several informational resources regarding Joliet Public Schools District 86. There is a flyer in the office of each attendance center listing the rights and protections for school-aged youth under the McKinney-Vento Homeless Education Act. District 86 has a Homeless Liaison who can help you with enrollment issues and securing transportation, clothing, and school supplies as necessary for your child. You can contact Erika Rock at 815-740-3196, Ext. 8260 or email her at Erika Rock. Please feel free to contact her if you have a question or need assistance. Parents/guardians who wish to enroll a new student (i.e. Kindergarten student or a transferring student from a non-District 86 school) MUST accompany the child(ren) to school to complete their registration. The following items are required: birth certificate, physical examination and immunization record, and three (3) proofs of residency (see below). Students who attended another district in Illinois must provide a State Transfer Form indicating they were in good standing at the time they left. Students who do not live within the school attendance area cannot be admitted without authorization from the District Office. If help is needed in determining the school the child should attend, please call the Transportation Department at 815-740-3196 x8208 or x8276. For those families living in the Forest Park area, please call Student Services at 815-740-3196 x8239 for school assignment information. Students eligible for special education programs should register at their home school and then the building secretary will call the Division of Special Services while the parent is present to receive specific information regarding program and school assignments. 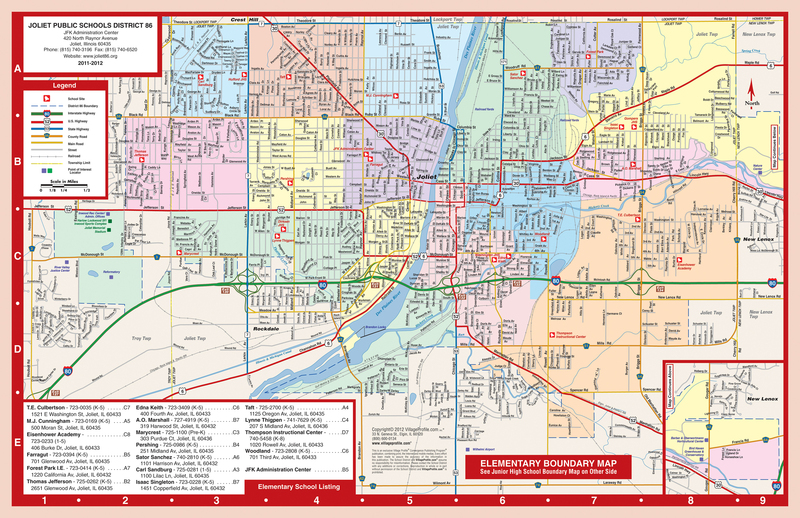 Do you live in Joliet Public Schools District 86? Is your child 3-5 years old? If you answered yes to the above questions, please call (815) 740-3196 Ext. 8243. This process is also used for entrance into the District 86 state funded at-risk preschool program. Families and children must qualify for this program. If a student lives with someone other than a parent or legal guardian (i.e. relatives) the person must demonstrate that they have legal custody of the student. Parents who live with relatives or friends will be asked for documented proof. Students will be required to attend the school in the attendance area in which they reside. Students who do not live within the school attendance area cannot be admitted without authorization from the District Office. Parents of special education students or those who receive special education services must contact the Student Services Department at 815-740-3196 regarding any requests for transfers. All general education and special education students who are eligible to be bused by the District will begin on the first day of school. Parents will receive information regarding bus schedules prior to the first day of school. If parents do not receive a letter by three days prior to the first day, call our Transportation Department at 815-740-3196 x208 or x8276 for general education student. For special education students call 815-740-3196 x8247. Transportation for District 86 students is provided by First Student Transportation. Their offices can be contacted at 815-724-0078. Click below to enter your street address and determine which District 86 school your child should attend. 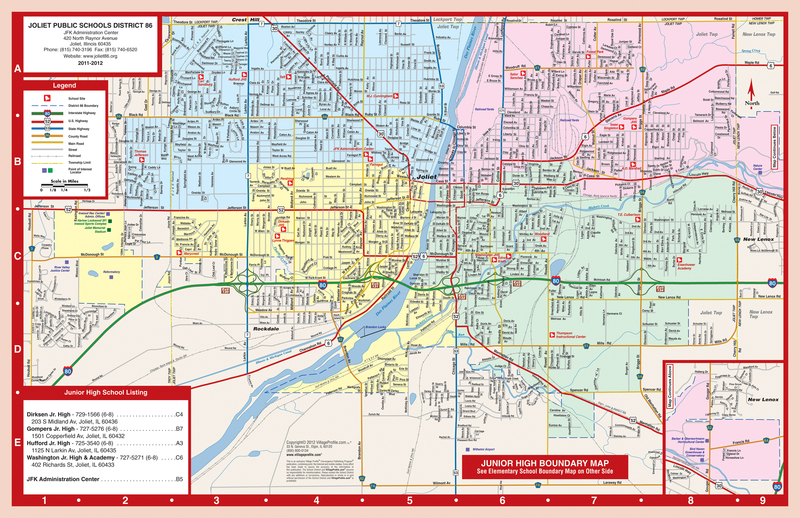 Click below for viewable boundary maps of District 86 schools. You may need to zoom in to view smaller street names.